Accomplished pianist in NJ, Michael Gray, can make your wedding or party a very special one. 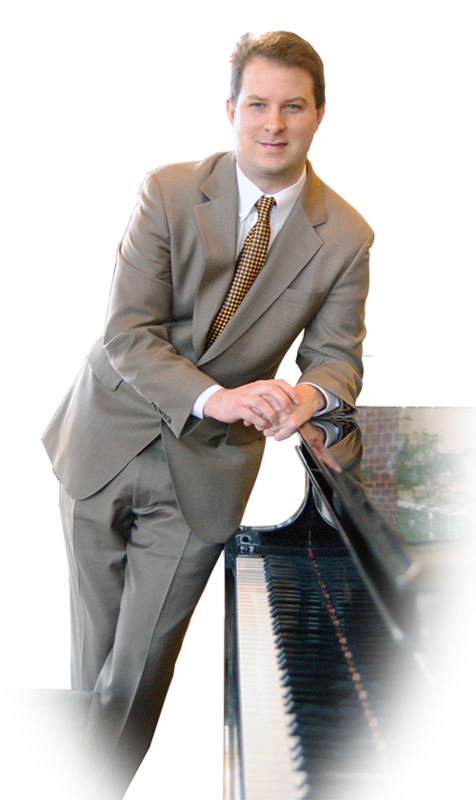 Michael specializes in playing popular piano music as well as Standards, Broadway, Classical and Holiday music at events in New Jersey, New York, Connecticut, Pennsylvania, Massachusetts, and Maryland. I know this is about 7 months late but Joe and I wanted you to know how pleased we were with your playing at our cocktail hour. We regret not being there to meet you and to see you in action. Our guests raved about you and loved the fact that we had a talented pianist playing live piano at our cocktail hour. I hope you enjoyed the crowd too. I wanted to make sure you knew how much we appreciated you taking the time on our special day. Thank you so much! ~ Amanda & Joe M.
On behalf of both of our families I want to thank you for providing an absolutely phenomenal performance for the wedding on April 15, 2017. You played non-stop for 5 hours--providing music for the ceremony, cocktail party, and reception. Not to mention the music for the bride and groom's first dance. It was exactly the music the bride and groom wanted for their special day. Your music selections were varied and our guests commented on the collection of songs you played. You touched on many different genres. Once again on behalf of our families, thank you. I can't tell you how pleased my husband and I were with your presence at the rehearsal dinner last Friday night! You looked the part, you played the part, your musical selections were terrific and I think you set the exact right tone for the evening (no pun intended). We could not have asked for anything more! Thank you so much, you were fabulous. The wedding was perfect and you made it even more wonderful. I hope I'll be able to use you again. I will recommend you to everyone. Thanks again. We just wanted to say thanks again, we really enjoyed your music and our guests loved it as well. Everyone loved your sound. Thank You. Thank You. Plan on a spring house-warming return. Cheers! Michael, I just wanted to say thank you so much for the wonderful music and helping to make our wedding so lovely. We got many compliments on your piano music and we really enjoyed it...it was exactly what we wanted. Thank you for making our wedding day special! Hi Michael. I just wanted to say thank you again for playing for our family and friends at our son's engagement party last Saturday night. You did such a wonderful job and we got numerous comments on how versatile and entertaining you are. We will certainly recommend you when the opportunity presents itself. Thanks again! Hi Michael, many thanks for your superb entertainment at the Bat Mitzvah. Your special touch truly made it an elegant affair.